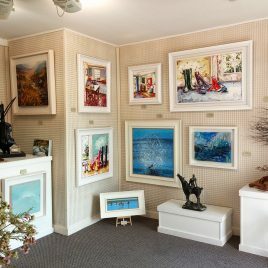 The Whitethorn Gallery showing works by some of the best contemporary artists that Ireland has to offer, together with a number of fine European artists. We showcase Local, National, and International Artists, and we are extremely proud of our collection! We Export work to destinations all over the world. We also participate in a number of shows and exhibitions around the country annually.